It's that time of the week again - it's Football Friday! It also means that it is tailgating time! I love tailgating. I love seeing all my friends and family, making new friends and the food! Oh, the food. I prefer to take finger foods to tailgates. I find they are easier to eat (almost too easy sometimes) and not as messy as other foods. 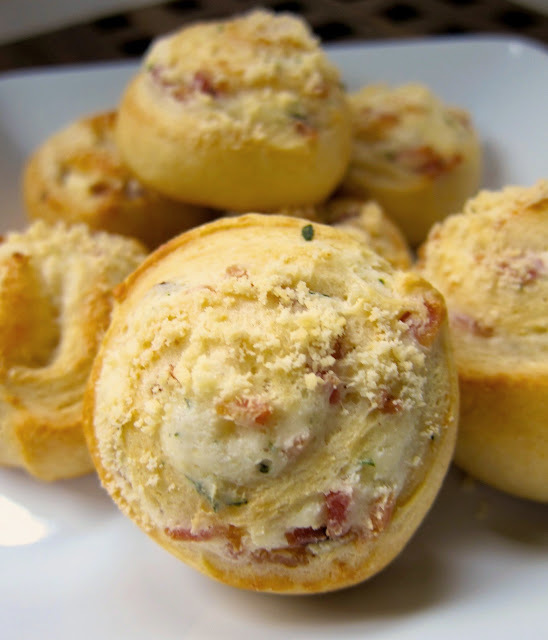 These bacon crescents are perfect for a tailgate or even breakfast. I just love these things. I can eat way too many of them. I think it is the parmesan cheese with the bacon that I love most. Give this recipe a try soon! These bacon crescents would be great for any gathering - football party, Thanksgiving or Christmas. You might want to double the recipe - they will go fast! Open each can of dough. Firmly press perforations together to seal. Spread each rectangle with 1/2 of the cream cheese mixture. Roll each rectangle up jelly roll style and cut into 16 pinwheels (32 total). Place on baking sheet. Bake 12 to 15 minutes or until golden brown. Serve warm. Great recipe, I am going to try it next week and serve them with scrambled eggs. I came across your blog last week, and have a list of new recipes that I plan on trying..
Yum! Sounds like a great snack, addiiton to a meal or a fantastic appetizer. This may be our breakfast tomorrow! YUM! With the great food you make, I believe I'd have to forgo the game and just hang around your tailgate. I have made a version of these before...delicious! Perfect for a tailgate gathering!! ohmy Doesn't this look heavenly. You come up with the best dishes! In my supermarket, they now have "Recipe Creations" crescent roll dough. It's the same dough, just rolls out into a single sheet, so no more pressing the perforations together. @Kevin S - my grocery store quit carrying the Recipe Creations. I was so bummed! I'm sure I could eat more than my fair share of these...yum! ALl the ingredients I love- and these look great too! Can't wait to give them a try. Looks delicious! With bacon and cheese, how can it be anything else but yummy! 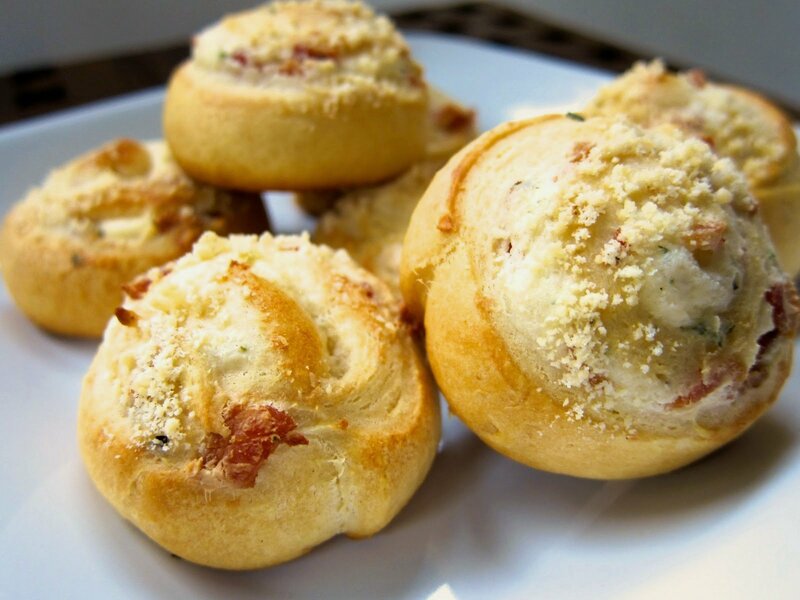 Rolls filled with cream cheese and bacon - I'm sure these are a huge hit at your tailgating parties. Hi! Tried these for Breakfast this morning; my family loved them! Thank you for the great recipe. I have made these many times for family, for work events. They are a hit every time, often requested by coworkers, and I recently gave the recipe to my boss who cannot cook anything. She did a great job with them and her family has asked for more. Great recipe!